I've noticed INFLOW Summits some time ago and I knew they organised some pretty cool conferences and Influencer meetings in the past. When I've received invitation to come to Istanbul to meet Influencers from around the world and enjoy the launch of Tulip Festival my answer was yes. I've never been in Istanbul before so I was looking forward to visit this city on borders of Europe and Asia with all that multicultural vibe. I was in Prague few weeks before departure so Inflow managed to get me direct flight from Prague to Istanbul with Turkish Airlines. It was my first experience with turkish hospitality and everything went smoothly. When we landed on Ataturk Airport i was picked up and guided to taxi that would transfer me to my hotel. When i got to the taxi I've met guy named Patrick, who was invited as one of the Influencers too. He's damn cool guy, owning and maintaining quite a few accounts including @Paris. After short drive we arrived at the Four Seasons Sultanahmet. What a place! 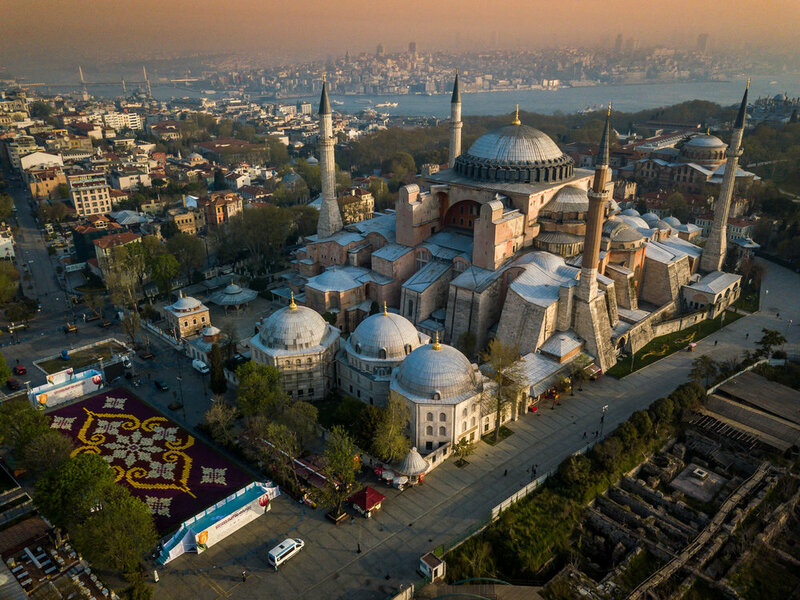 Awesome five star luxurious hotel in Sultanahmet neighbourhood of Faith district between two most known mosques, Hagia Sofia and Blue Mosque. Hotel was built on site of former Sultanahmet prison built in 1918 as the first jailhouse in the capital of the Ottoman Empire. I've got room on third floor with views to the courtyard and sea, room was absolutely beautiful however after I've dropped my bags I immediately went up for terrace on top floor with stunning views. At the evening we had welcome dinner at the hotel to meet with Inflow team and other Influencers. I was happy to see few faces that i know from Instagram and following for a long time and also to meet new. Here is the crew. Previous night I've spoked with Patrick and we decided to go shoot sunrise and Irina recommended us to go near Bosphorus Bridge and Ortakoy Mosque. Best way to get there was to call Uber, it was damn cheap around 30 Turkish Liras (5£ ish) and journey took around 20min. When we arrived, sky was amazing pink and we quickly get ready to shoot. That place was just magical, with Ortakoy and Bosphorus bridge as backdrop. I've loved it so much that I've decided to come back next day. After that we called Uber again to get us back to the hotel and had wonderful breakfast in the restaurant. Next on our busy schedule was visit of MiniTurk. Miniturk is pretty much a miniatures of cool buildings from all around the Turkey. It's great to walk through enjoy them and learn a bit history. From there we went for lunch to the now famous restaurant called Nusr-et owned by no one than Mr #Saltbae. It was packed and we were told that Nusr just came back to Istanbul to meet with us. What a experience, he's absolutely lovely and patient guy and steaks were extraordinary delicious. 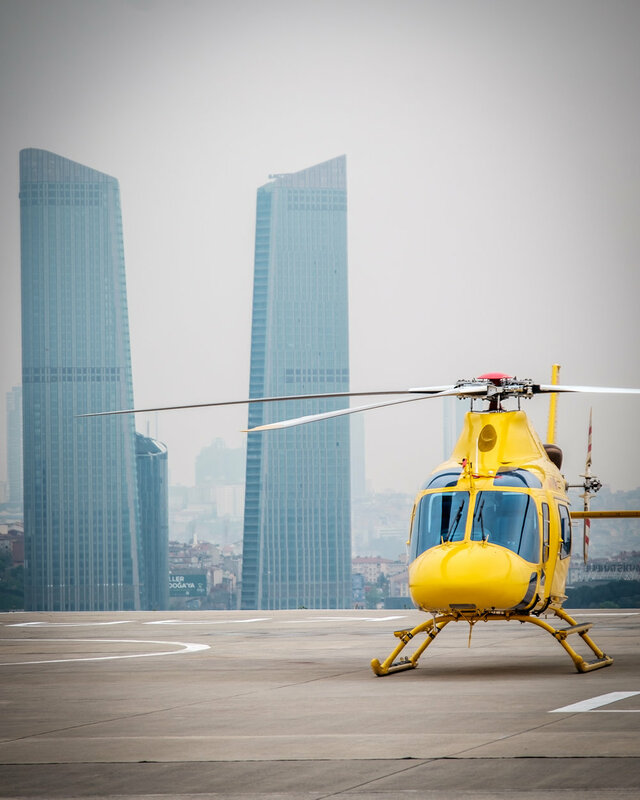 Next stop was amazing again, Helicopter ride over Istanbul with Kaan Air. Weather wasn't the best that afternoon but it was still a spectacular ride. The day of the main event, Tulip Festival. Why not start it with breakfast with the Mayor of Istanbul at Tunuslu Hayrettin Pasa Konagi. In this wonderful reconstructed building we got served breakfast and then had small chat with Mayor. From there we followed Mayor to open the Tulip Festival Istanbul. They've created World's Largest tulip carpet made from 564k tulips, right at the historic Sultanahmet Square next to the Hagia Sofia Mosque. Spectacular view! Btw, Did you know that Tulip come from Turkey? Once we get enough shots, we walked to nearby Matbah Restaurant for tasty lunch and then moved for few shots to Gulhane Park also full of tulips. 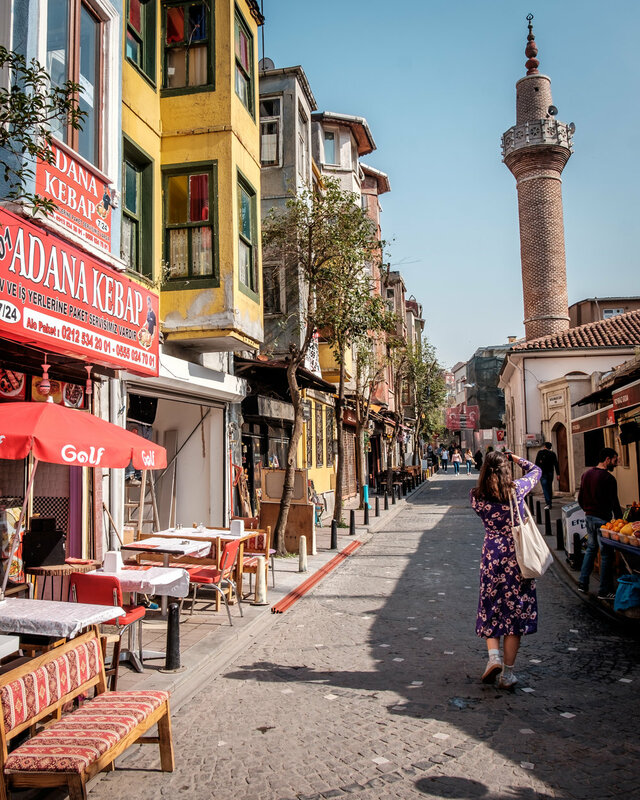 Then we had about two hours of free time and I've decided with couple of others to visit neighbourhood called Balat with lovely small caffees, shops and colourful houses. Very pretty and so far my favourite part of the city. I could spend there walking around hours unfortunately we had to come back as next on schedule was visit of the Basilica Cistern. Last on the day was dinner in Feriye Lokantasi that had wonderful view of Ortaköy Mosque and Bosporus Bridge and delicious food. We met few other people there including founders of Inflow Summits and finished the evening with few shots outside and moved back to the hotel. What a fabulous few days it was, Istanbul is amazing city and I know I have to come back and stay for longer to visit places I've missed. Thank you Inflow Summits for having me and showing me around.